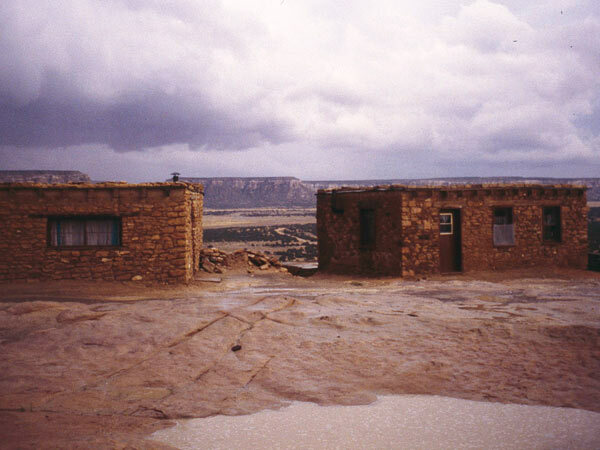 Known as Sky City, this 70-acre ancient city is located 7,000 feet above sea level on a sandstone mesa, 60 miles west of Albuquerque, New Mexico. 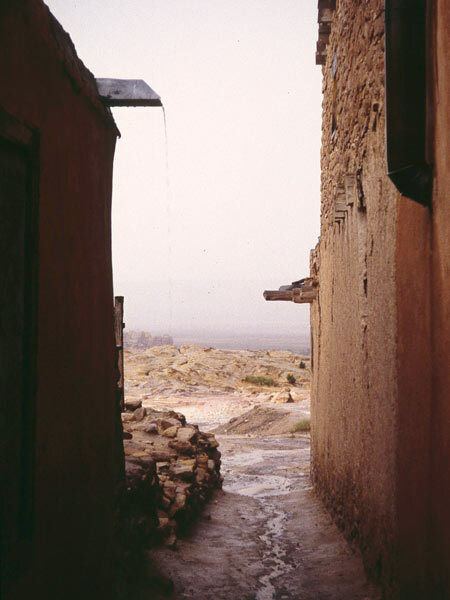 Continuously inhabited since the late 1300s, it is one of the oldest urban settlements the U.S. In 1599 Spanish soldiers destroyed the original village of stepped houses. 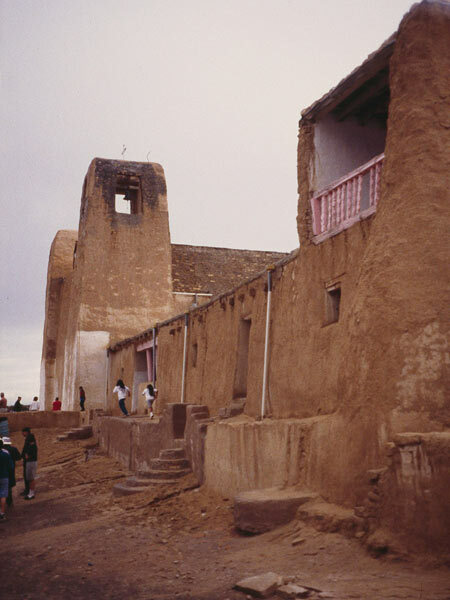 The new mission, San Esteban del Rey, was begun in 1629 and the village was rebuilt shortly thereafter above the ruins. 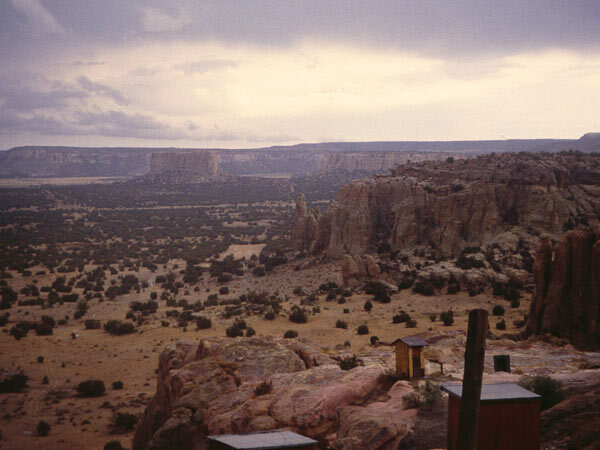 The lands of Acoma represent one of the few environments in the U.S. that retains its inseparable ties between the people and the land. 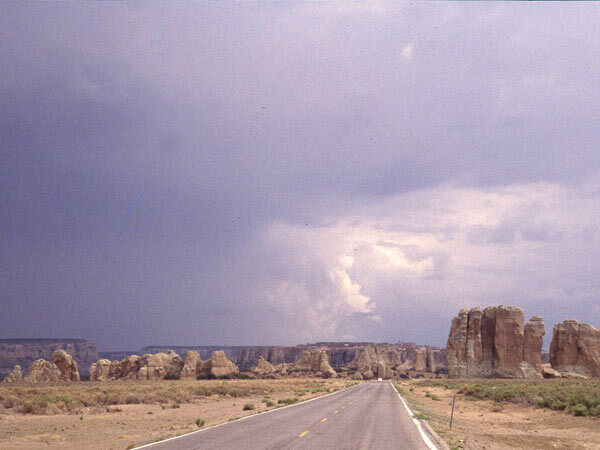 All places in the Acoma landscape are identified by their significance to cultural memory. 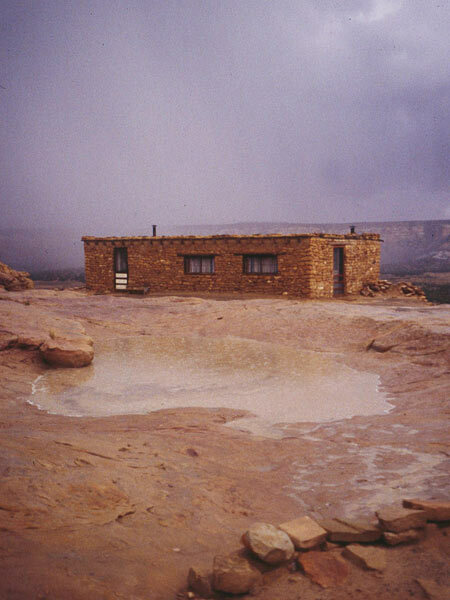 Historically, materials were extracted only after builders made appropriate communication with the lands for removal. The fields below the village are still dry farmed with crops of corn, beans, and squash. 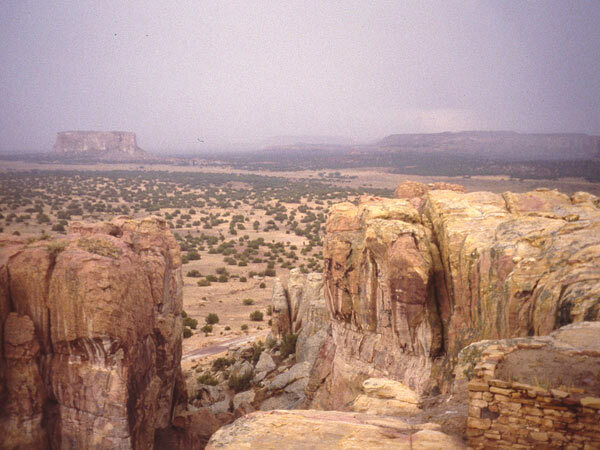 Water cisterns, located on top of the mesa, are the only source of water and there is no electrical power. 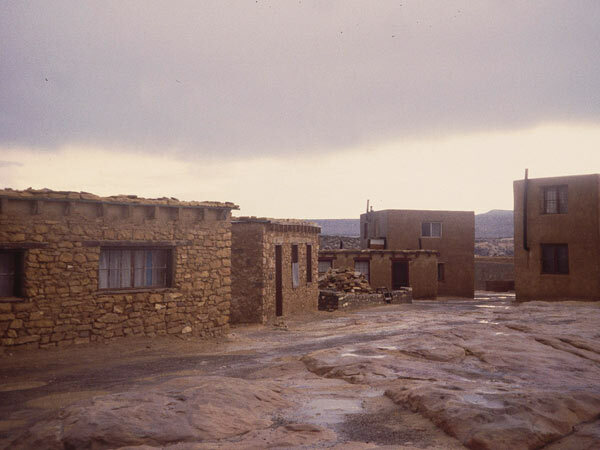 The site was named a National Historic Landmark in 1960 and is owned by the Acoma people.